Shhhhhh. . . . I have a secret for you. Tomorrow is my birthday. As a reminder that my birthday is in December the temperatures finally took a major nose dive. This morning it was only 6 degrees outside with a windchill of -11! Happy almost birthday to me! When I was in Elementary school, I have fond memories of my birthday parties. Many years I had them at an indoor pool and friends would come for Carvel ice cream cake after the swim. Of course, many years my goodie bag of gifts for friends was always Avon related. Why? Well, my mother was an Avon lady for many years. So we would give away funky nail polish, fun chap stick, or whatever was big at the time. I also recall having friends over and playing with the little Avon lipstick samples. Oh my, there were so many and they were all so very different, it was so neat as a young kid. My mother stopped selling Avon a long time ago (more years than I care to mention), but my love of Avon has continued as an adult. When teaching, the homeroom teachers and I would buy our kids (all girls) Avon Christmas presents. Now, I often purchase makeup, chapstick, moisturizer, jewelry, Breast Cancer Awareness merchandise (love my pen from them), and even hair care products. Of course, the holidays are also a fabulous time to stock up on Avon items to add to gifts. I love their bath gels that are great with my knit washcloths. I am giving away the following items to one winner. In addition to this, everyone is welcome to use a free shipping code for holiday/birthday/everyday shopping on Avon.com. By entering the code JINGLE30 you will receive free standard shipping with a $30 order when they shop with an eRepresentative. This offer expires on January 1, 2009. MAIN RULE – Leave a comment telling me what your favorite item is from Avon. This must be done or all bonus entries will not count. 1Bonus Entry – Stumble this post and leave your Stumble name in a separate comment. 1 Bonus Entry – Favorite TheAngelForever in Technorati and leave your name there in a separate comment. 1 Bonus Entry – Follow me on Twitter (@TheAngelForever) and tweet once about my giveaway. Leave a link to your comment in a separate comment. 1 Bonus Entry – Add TheAngelForever to your blog roll and leave a separate comment. 3 Bonus Entries – Write a post on your blog linking to my blog about the giveaway. Be sure to leave 3 comments about this to get credit for all of your extra credit. My Avon Memories of childhood giveaway will run through midnight (EST) on December 13, with winner being announced soon after. The winner will be chosen using Random.org and will be notified by e-mail for address information. The winner will have 48 hours to contact me before another winner is chosen. Giveaway is open to U.S. residents only, sorry shipping is rough these days. Have fun and thanks for participating in my birthday giveaway! I like the Avon Foot Works Soap. I love all the skinsosoft products and I love love love glazewear as well! I like all of the Anew products! My favorite product is Dew Kiss. It’s a favorite of my teenage daughters also. I also love Silicone Glove hand cream. I use it every night. What a great giveaway! 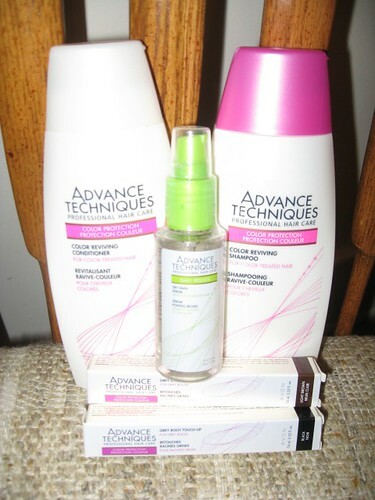 I would love to win these great hair products! I love Avon stuff. One item I would really like to try is the ANEW REJUVENATE 24 Hour Eye Moisturizer SPF 25 , because I need a new eye cream. Thank you for the awesome giveaway! My Twitter username is hardertobreathe. I love the SKin so soft products!! I really like the Skin So Soft products. But my all-time favorite Avon product is an ornament circa 1990 that my church youth group leader gave me–it’s a little elf holding a fish. I always loved things with fish on them. And it’s so silly–why would an elf be holding a fish?!?! I love the skin so soft deodorants! I have so many items I love, I think the one I could not do without would be the Intensive Moisture Therapy. My favorite are the Moisture Therapy lotions. Thanks!